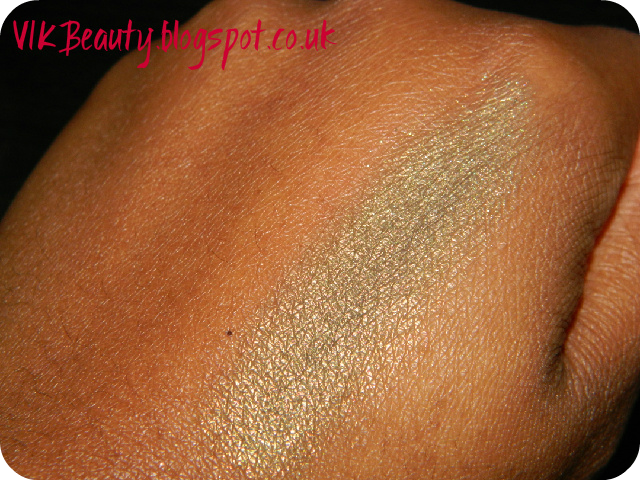 I absolutely love mineralised eyeshadows. There's something about these eyeshadows that I get drawn to especially when they hit the light. They just look gorgeous. I was recently at a Bare Minerals counter and I always find it hard to walk past without either trying out some eyeshadows or making a purchase. 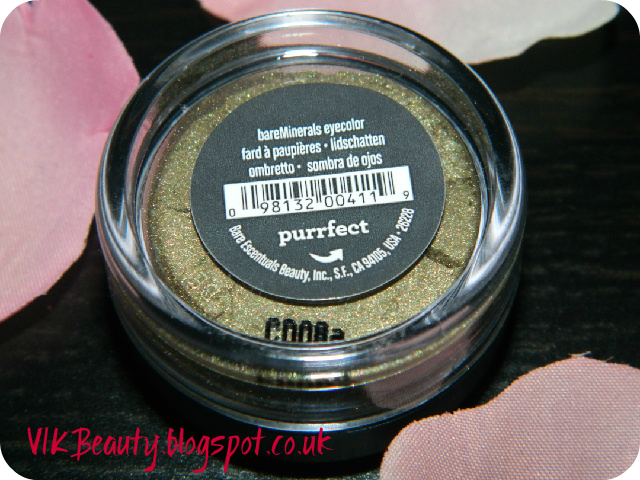 I came across this shade "Purrfect". 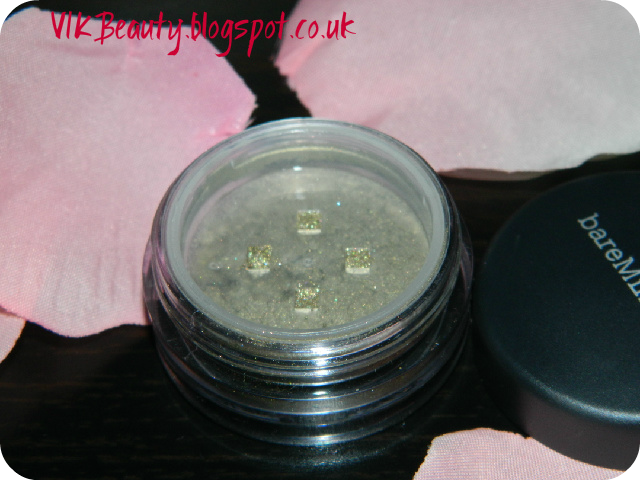 It is a gorgeous warm, luminous, translucent, golden green shimmer eyeshadow. It has a rich pigment to it (I find that this is the norm with bareMinerals eyeshadows). The eyeshadow can be softer and more translucent when worn dry, but creates an opaque wash of high sheen when worn wet. I think this is a gorgeous autumn shade and it would be a great smokey eye look for the upcoming Christmas party season. They eyeshadow is long lasting (fabulous!) and can blend seamlessly. The eyeshadow retails at £14 for 0.57g. I find that a little really does go a long way. You don't need to apply a lot of the eyeshadow to achieve a rich colour. 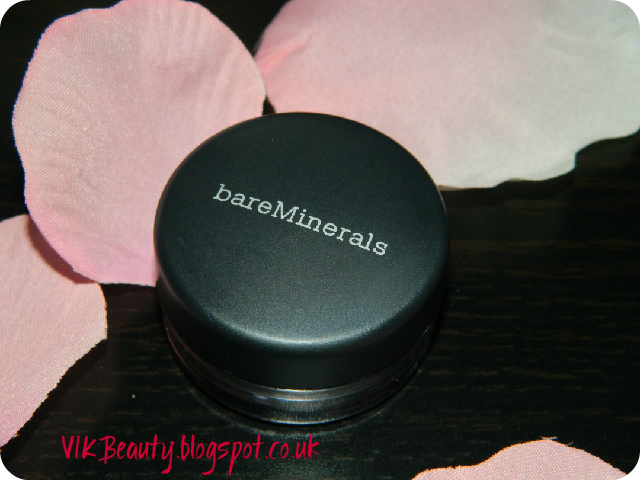 Bare Minerals eyeshadows are definitely great quality and are good value for money. You can purchase this eyeshadow here: click. Are you a fan of Bare Minerals Eyeshadows? Stunnin color! Looks great on ur skin tone! This is a gorgeous eye shadow. I love all of bareMinerals products, they are the best! Wowwwww, beeeeautiful colour!! I can already imagine it used in a smokey eye. Gorgeous colour!